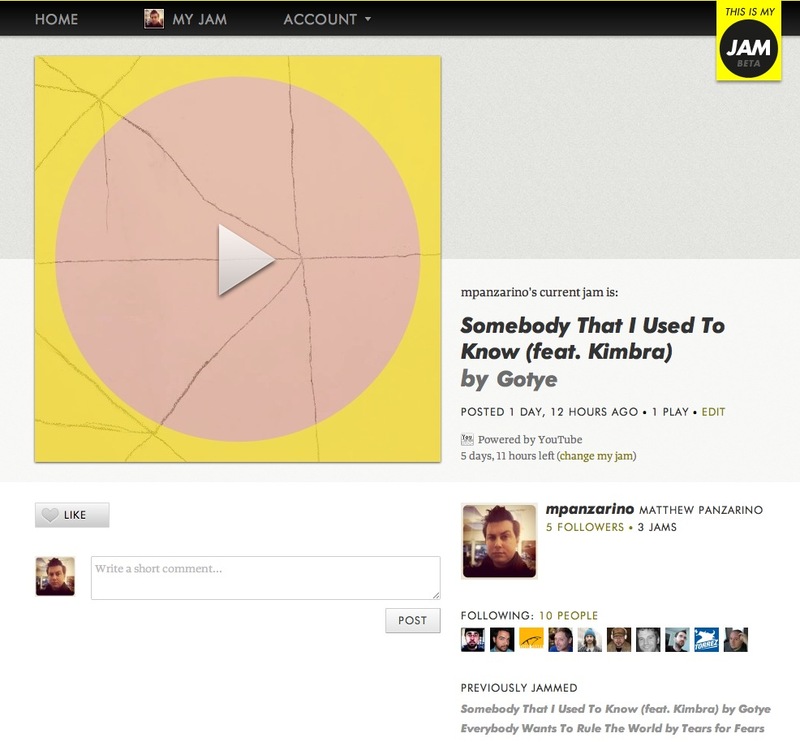 The clever single-song sharing site This is My Jam has announced today that it is finally open for all to use. The site had soft launched back in December when we covered it and offered our readers access to the closed beta. The site, which we’ve all been using around the shop here, allows you to search for and share a single song in audio or video form with your network of friends as well as posting to Facebook and Twitter. Think of it as a single-serving social network for song lovers. This isn’t about sharing just any song you’re listening to now, it’s about those hard-core earworms that get into your head and just won’t leave. We’ve taken a liking to the service because it cuts out all of the hustle and bustle that surround Twitter and other social sites to focus simply on the music. It allows us to take the pulse of just a few people that we follow, see what they’re listening to now and discover curated music. The site also allows artists to upload their own music, allowing them to share it with their circle and hopefully gain exposure as it makes its way throughout the system. You can head over to the site here to sign up and start sharing your favorite songs right now.